The Network Discovery Service© is a proactive consulting service thanks to which we find information about the network Installed Base from a Network collection. This service gives you both an in-depth and hi-level snapshot of the network at a given time. It gives the necessary data to analyze the network health, efficiency and security. It is a great opportunity to take further steps in securing the network, patching vulnerabilities the right way, and get the right support for the devices you want. It’s worth mentioning that in our experience we found Customers which thought they have the network fully secure and covered under service contracts, but after our analysis it turned out that a high percentage of the Installed Base was full of exploitable critical security issues and there were critical core devices uncovered. This discovery is a starting point to know your network. Know what its real status is and gives you the opportunity to take action if you want to. Without any obligation from our side. During this phase, we organize a remote conference, where we talk about the Network Discovery Service. We will show you what you can expect out of a NDS and we will show you sample reports. We will set the right expectations in order to have an outstanding experience with the highest customer satisfaction. Every NDS is unique and we adapt to the network we are engaged to analyze. It’s important to be flexible to meet the Customer’s needs. The network assessment itself can have two different flavors. 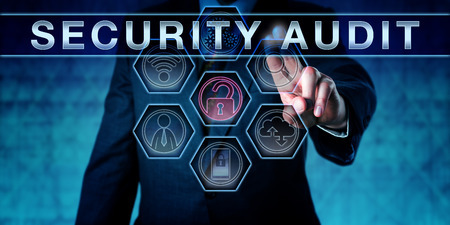 The most common kind of collection we do is Network Discovery, during which a range of IP addresses is scanned and the devices that respond to the provided credentials respond are found. Afterwards these device are analyzed and inventoried. The other, less common possibility is to directly start with a Network Inventory. This is usually for our Customers who keep a good inventory of the network and have handy a good and realistic list of devices that are in the network, this means with the IP addresses of each single device. Such inventories are usually faster than Discovery + Inventory. After the Network Inventory is completed from our backend, we generate the reports. The output consists in Excel Reports as well as PowerPoint presentations, which contains high level information for the executive. When the reports are ready we set up a new call where these reports are shown and explained. The next steps consists in taking into consideration actions that lead to resolving current network problems of various type. For example network devices can have security alerts and vulnerabilities that can be easily exploited by attackers. There can be a high percentage of IB which is not more under coverage, or already reached a Last Date of Support. Such devices can lead to problems if they fail or if you need an RMA or just technical support, which may be denied because of lack of service applied. If an IP phone or a small access layer switch fails and is not covered by a service or it is already LDoS, it can be easy to throw it away and replace it with a new one. But what if a core device has security alerts, is uncovered or it is already LDoS? What if in the network there are devices you are not aware of? In the Network Discovery Service collections we performed in the past years, we found out in many cases that our Customers discover equipment that was somewhere in the Network and they were not aware of their existence. Thus the spectrum of benefits is really huge. How the NDS is done? The Network Discovery Service can be done remotely or on-site. Remotely can be done at any time. We just need one person from your side who will cooperate with us and knows the network pretty well. The collection is done via desktop sharing, team viewer or other RDP connections. The on-site collection exercise consists in our engineers to go to your premises and perform the collection from there. In case of need we can sign Non-Disclosure Agreements before proceeding. The fee of this exercise is set ad-hoc after phase 1 – Pre-assessment consultation. If you’d like to know more, feel free to contact us.